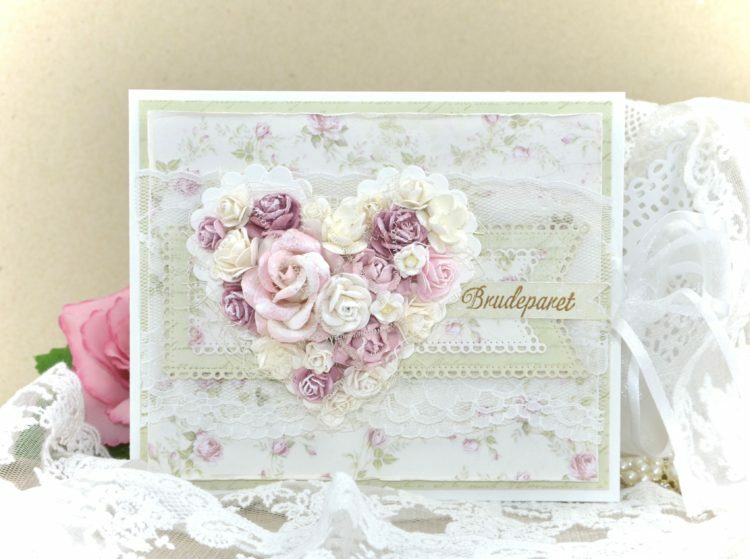 It’s Cathrine here to show you a wedding card. I have been using the collection “Where the Roses Grow”. 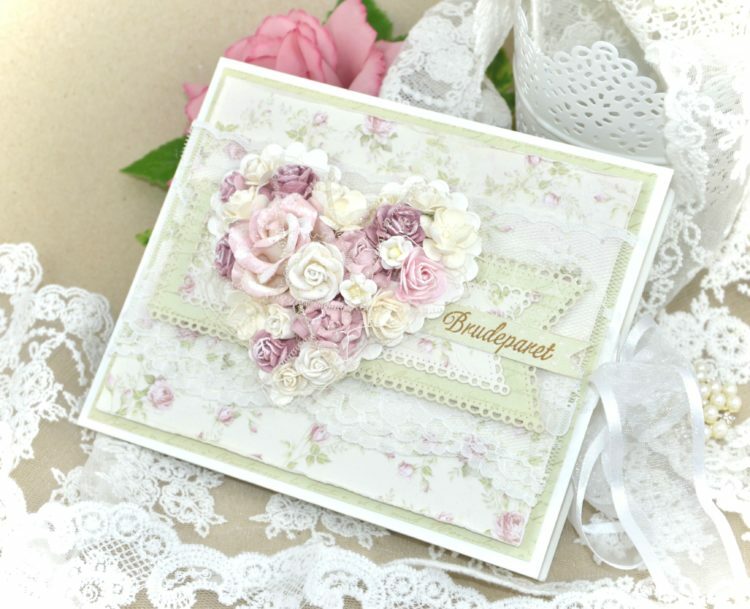 I think this is a beautiful collection to use for wedding cards. So soft and delicate.